Connecting IoT devices from different brands may soon become seamless, thanks to a new device language from a leading IoT standards group. 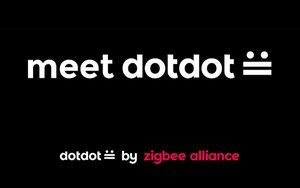 The ZigBee Alliance, which comprises more than 400 global companies, just launched its dotdot language at CES. The idea of dotdot is to establish a standardized device communication platform for IoT devices that allows them to communicate with each other, regardless of the type of network the devices operate on. This standardized connectivity has been a function of the Alliance’s own ZigBee language, in that any device using ZigBee can communicate with another. However, dotdot expands the compatibility to devices using other forms of connectivity, such as Wi-Fi or Bluetooth, even if they are not ZigBee devices. “The application layer that is the core language of zigbee devices has driven significant growth in the IoT,” Tobin Richardson, president and CEO zigbee alliance, said. The ZigBee Alliance plans to showcase its cross-device connectivity at CES with a display of 95 connected products from more than 30 manufacturers, including Philips Lighting, OSRAM and Schneider Electric. Currently, more than 100 million devices run on ZigBee and the Alliance expects products built on dotdot to hit the market later this year.